NHS England have now reviewed the business to close our Dinnington Branch, and have confirmed to the practice, that the Dinnington Branch will close on Friday 26th May 2017. Appointments currently provided at the DInnington Branch will be provided at our main site. With effect from 31st March 2017, the Dispensary Service provided to currently eligible patients living in Dinnigton will cease. Letters have been sent to the affected patients, advising how they will obtain their medication in future. This is separate to the proposal to close our Dinnington branch. Thank you to those patients who responded to the letter and shared their views. 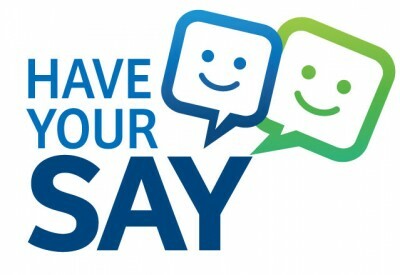 Your views have been included in the business case submission that has been sent to NHS England with the proposal to close the branch site at Dinnington Health Centre. Once we have an update from NHS England, we will update accordingly. As a practice we are currently obtaining views on our proposal to close our branch surgery at Dinnington Health Centre. GP appointments at Dinnington Health Centre are only available on Monday, Wednesday and Friday afternoons from 2pm – 3pm for those patients who live in Dinnington. The practice operates a dispensing service for these patients who can collect their prescriptions from the practice, rather than at a local pharmacy. The numbers of patients utilising the dispensing service and branch site has declined over recent years, which is affecting the financial viability of operating a branch site. Additionally the vast majority of patients who live in Dinnington chose to be seen at the main site in Canterbury Way, Wideopen for their GP appointments. Additionally we will also be holding a drop-in session at Dinnington Health Centre on Wednesday 9th November 2016 from 2pm till 3.30pm where you can meet with Dr Shaun Lackey and me with regard to any queries or concerns that you have about the potential closure of the branch surgery at Dinnington Health Centre.